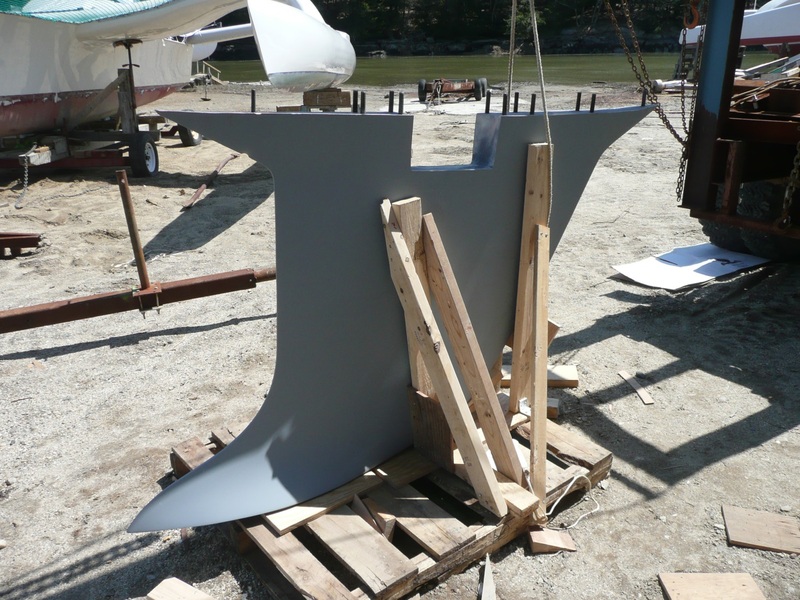 The hull is a vacuum-bagged sandwich, with fiberglass skins each side of ½”CoreCell foam core. The deck, cockpit, and cabin house are all cold-molded wood, covered with an e-glass outer skin. 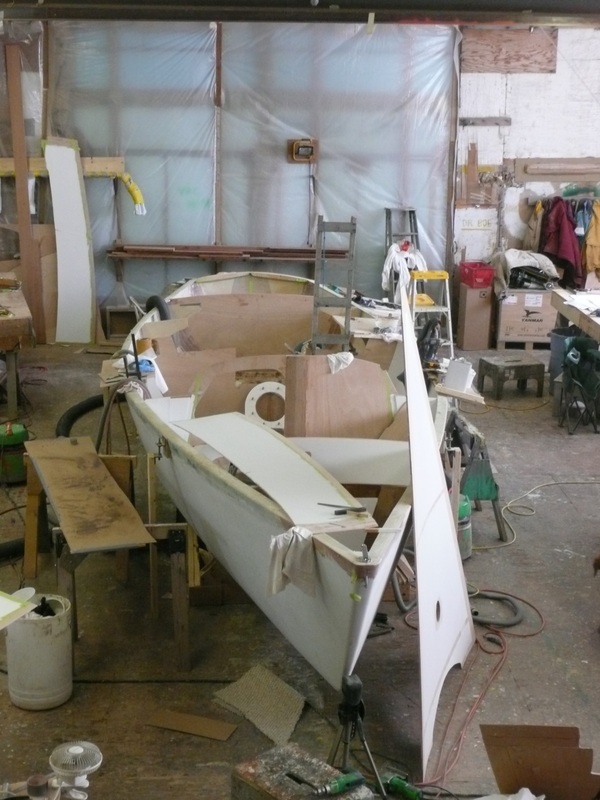 Epoxy resins are used throughout, and her rudder stock is unidirectional carbon fiber. 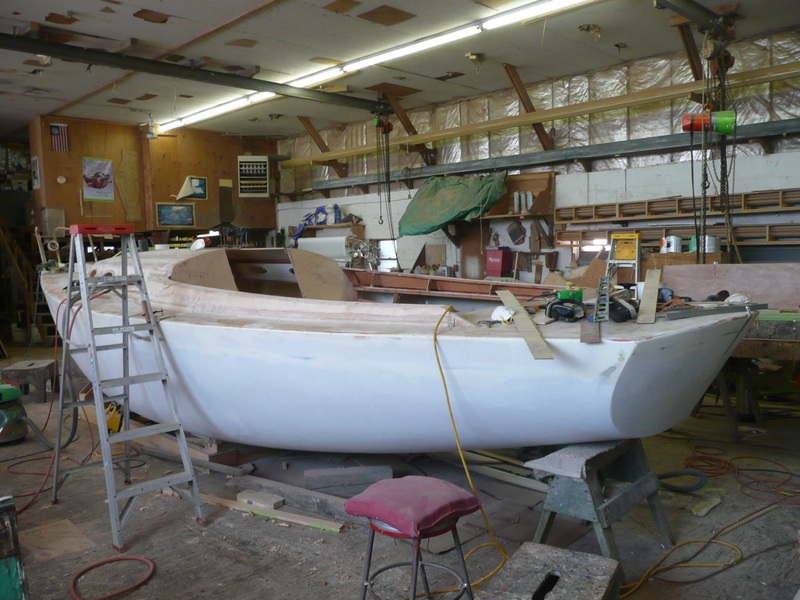 The goal was a boat that would be quick to get underway and easy to sail single handed or shorthanded. 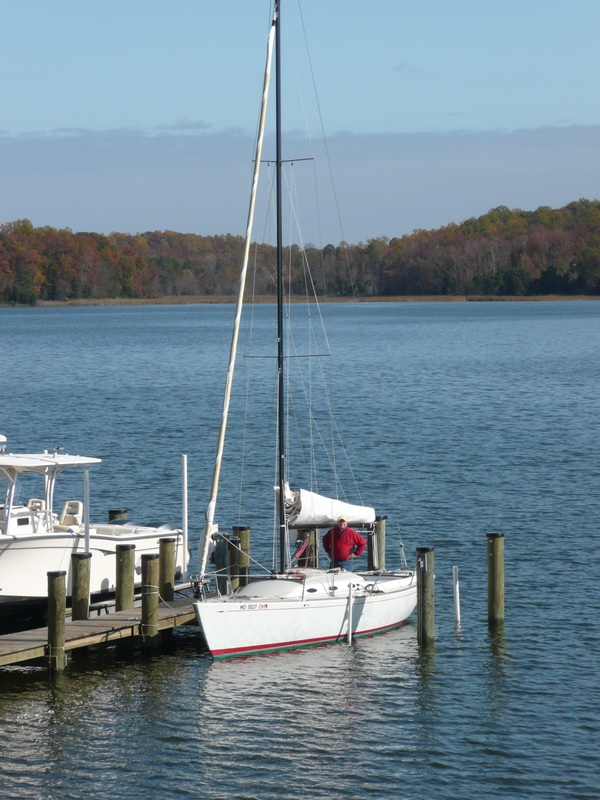 It was important that the boat perform well and be fun to sail in predominantly light air Chesapeake Bay conditions, but it was imperative that she heel less than other available boats in this size range. Good performance in light air requires high sail area, but carrying a big rig in breeze at low heel angles is a challenge. These conflicting requirements suggested a lightweight carbon mast and custom construction in order to maximize stability for a given displacement and beam. The result is stability that is 20% to 60% higher than that of similarly sized contemporary boats, despite the new boat’s relatively narrow beam. 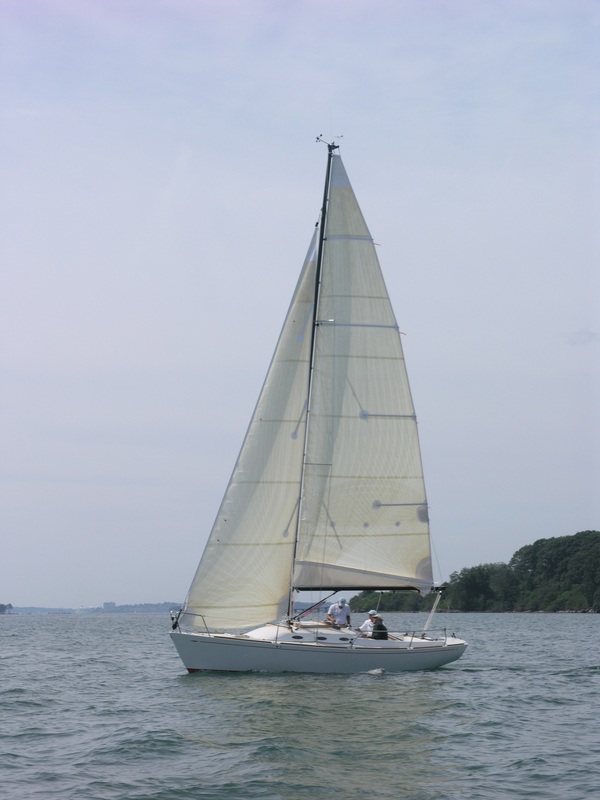 Enjoyable sailing characteristics and comfortable deck ergonomics were also obvious priorities. The typical crew would be one or two, but the cockpit needed to be suitable for an occasional party as large as six, many of whom would be non-sailors. Both crew scenarios suggested having all the vital sail and engine controls centrally located near the helm. The self-tacking jib roller furls, and the full-battened main stows inside lazy-jacks. In lieu of typical lifelines outboard of the cockpit coamings, fixed rails were borrowed from our Colgate 26 design to give extra backrest comfort and security. 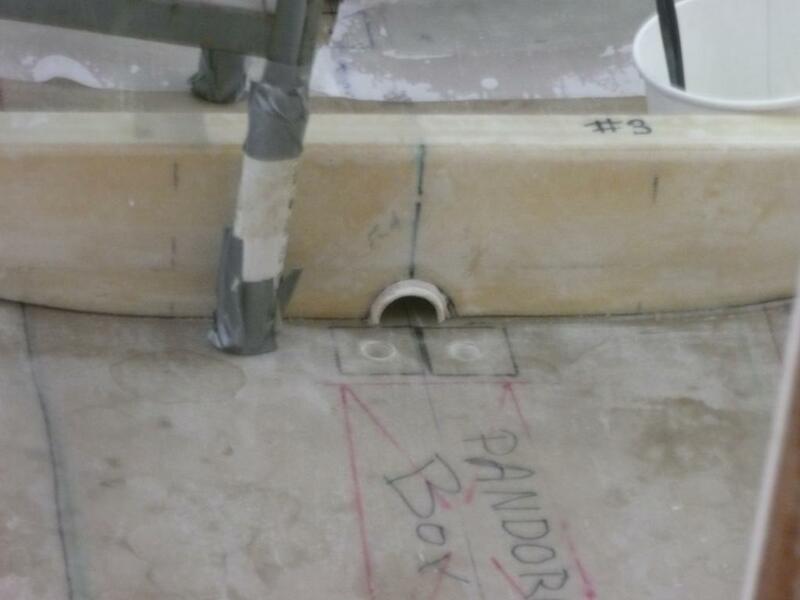 The client requested that there should be little or no wood trim on deck, to minimize maintenance concerns and costs. 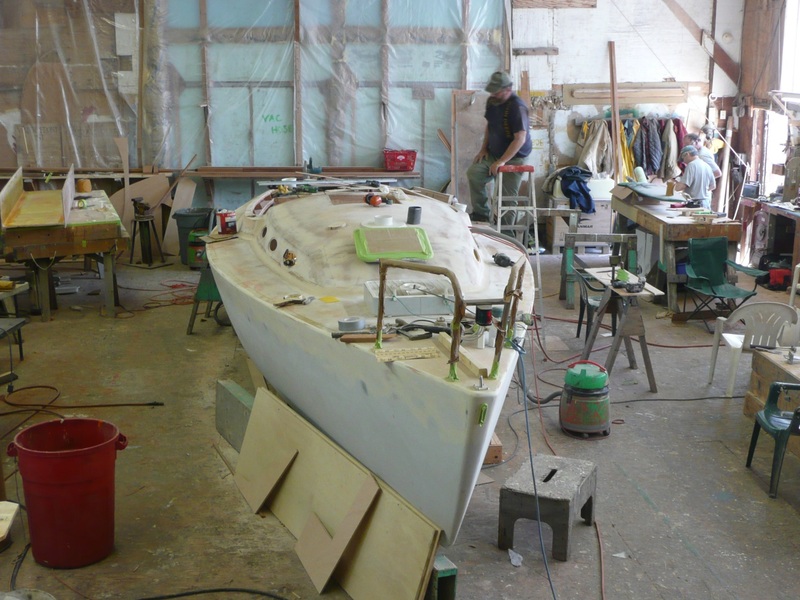 The interior is simple but functional, with port and starboard settees appropriate for sitting out a rain squall, and with an enclosed head that provides space and privacy that is unusual in a boat of this size. The interior style is attractive, and favors simplicity, low maintenance, and low cost over elegance. 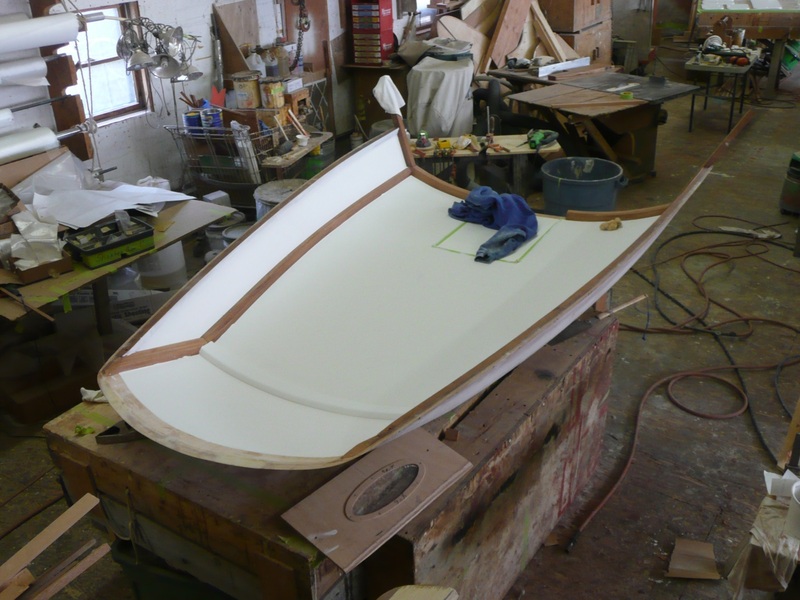 It is understood and accepted that there are similar production boats available at substantially less cost than this custom design. However, those boats are all intended to have a very broad market appeal with all of the compromises in layout and construction that that broad appeal implies. 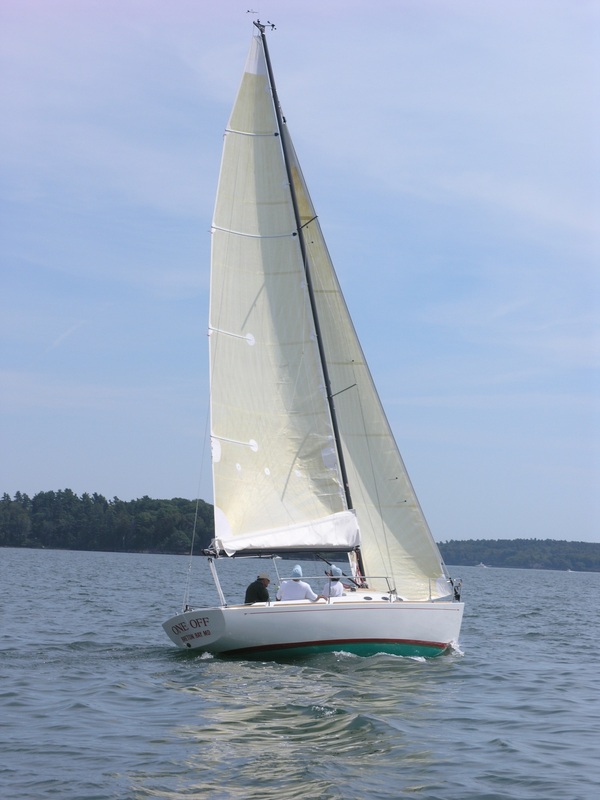 This design is very narrowly focused on simple, fun sailing with high stability and reliable handling, and its brief does not include any requirement for expensive and seldom used amenities below. The goal is to achieve an elegant and sophisticated sailboat that will be easy and fun to sail fast, and that will turn heads everywhere she goes.